It's not rocket science. You want strong magnets. Powerful magnets. But you need durable magnets. The truth is, neodymium metal is brittle. Make one mistake and SNAP, you could have dangerous shattered metal shards flying through the air. Your safety is our top priority. So fragile N52 magnets aren't going to cut it. 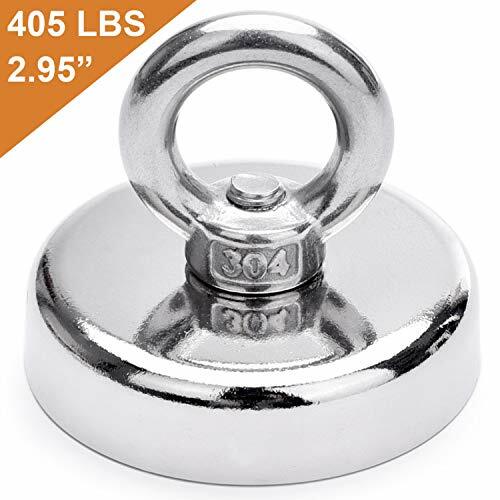 With the perfect balance of strength and durability, our N45 industrial grade neo magnets are triple coated in Ni-Cu-Ni (Nickel-Copper-Nickel). This coating creates a lustrous, smooth, rust-resistant finish that won't corrode or scratch your fridge. Designed and built to last a lifetime with high resistance to demagnetization. So you can use them over and over again - for any project or need. Garage, kitchen, office organization, and More! WARNING: Neodymium Magnets are very strong. Keep away from children and pacemakers. STRONGER THAN THE COMPETITION - Made from the world's strongest magnetic element, our pure neodymium cup magnets are incredibly powerful. 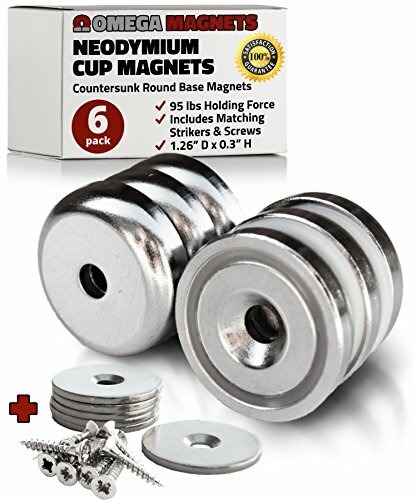 With 95 lbs pull force each, this set of premium rare earth magnets can handle your project or task. UNMATCHED QUALITY - Your safety is our highest priority. Chipped, broken magnetic shards are dangerous. We use industrial grade, durable N45 grade neodymium protected inside stainless steel cups. Longer lasting than extremely brittle N52 used by our competitors. PREMIUM QUALITY COATING - You will love the smooth and shiny finish. Our magnets are protected with a corrosion resistant Ni-Cu-Ni (Nickel-Copper-Nickel) coating to create a high quality silver look that doesn't rust or scratch. UNLIMITED USES - No matter your application, our powerful magnets can handle the job. These magnetic discs work great as strong magnets in your home, business, office, or garage. Powerful magnets for holding, lifting, fishing, closing, fastening, retrieving anything you need. 100% NO BREAK MONEY-BACK GUARANTEE - If you are not absolutely thrilled with your magnets, return them for a full refund or replacement. No questions asked. We stand behind the quality of our magnets and are confident you will LOVE your magnet set. Hit Add To Cart now. This high strength cup magnet is made of a neodymium magnet encased inside a chrome plated steel cup. This design greatly increases the holding power of the magnet, as well as protects the magnet from shattering or damage from everyday use, allowing it to last much longer than a plain magnet. 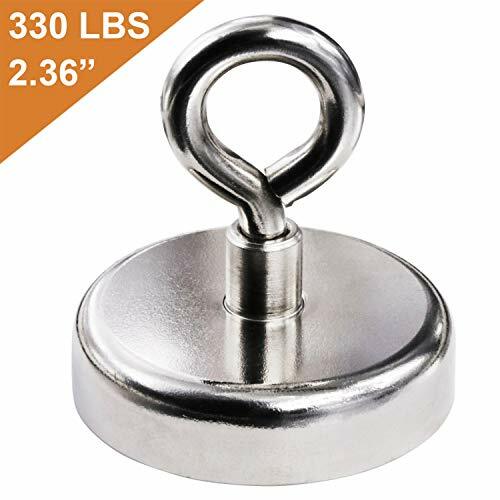 This magnet holds up to 90 lbs when held against steel surfaces when the magnet has direct contact with a smooth plain steel surface. The countersunk hole is meant for a #10 flat head screw to ensure a flush fit with the cup magnet. This magnet measures 1.26" in diameter and is 0.3" thick. Rare earth magnets are the strongest type of permanent magnet currently made. They are amazingly powerful for their size and have innumerable uses. They are magnetized through the thickness. They are composed of neodymium iron boron magnetic material and are plated in nickel-copper-nickel for a shiny corrosion resistant finish. Maximum working temperature is 176 F (80 C). 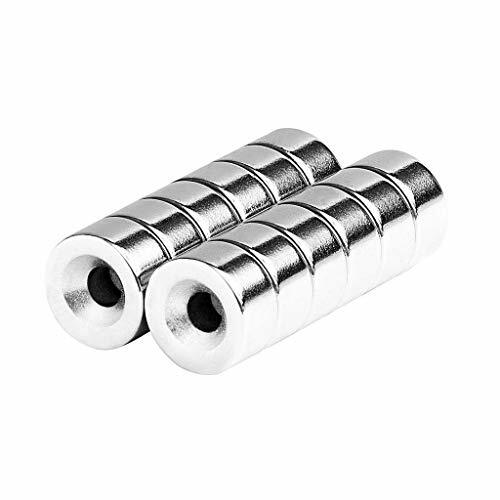 VERY POWERFUL: Made of Strong Neodymium Magnet, Unbelievable Holding Power for the Size, Up to 90 Pound Holding Power per Magnet. 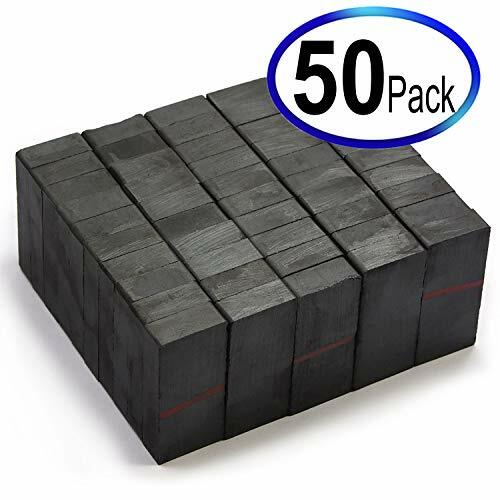 VERY DURABLE: These Magnets will not Break in Normal Use since the Magnets are Protected inside the Steel Cups which Greatly Increase the Longevity of the Magnets. UNLIMITED APPLICATIONS: Handy Assembly for Home, Business and Schools! Holding, Lifting, Fishing, Closing, Retrieving, and Much More. QUALITY GUARANTEED: Made under ISO 9001 Quality Systems. The Highest Quality Available! 30 Days Money Back Guaranteed! DIYMAG BRAND : We have staffed with a team of experienced professionals in Rare Earth Neodymium Magnets and Magnetic Assemblies. As a provider of strategic supply, we have the unique capability to meet the requests of all of our customers. 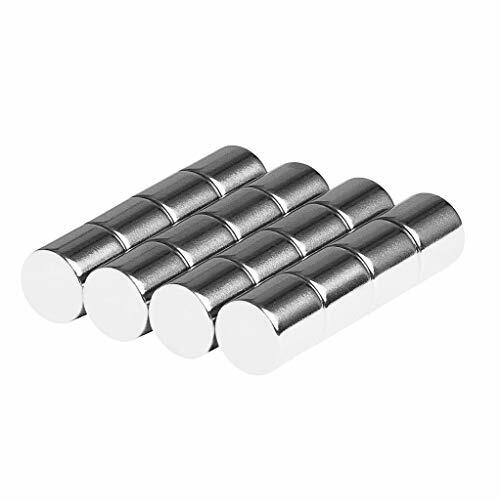 Mainly made up of N52 neodymium magnet and a steel shell, it can concentrate the magnetic field on thebottomof magnet which increase the magnetic force by 2.5-4 times compared to the naked magnet . The steel cup can prevent the naked magnet from scratch and chipping during grabbing and clamping. It is designed for heavy duty and underwater useand helps to recover lost equipment, tools, fishing tackles and other ferrous objects in deep water, wells, holes. 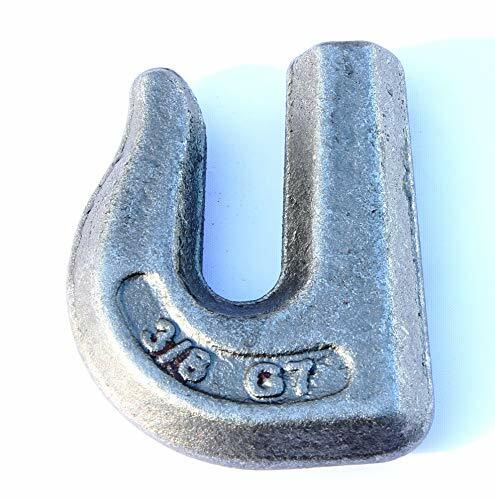 It is also great for magnet lifting, hanging applications. 6. Package Includes: One fishing magnet+ one M8 eyebolt+64 Foot high strength durabale Nylone Rope. 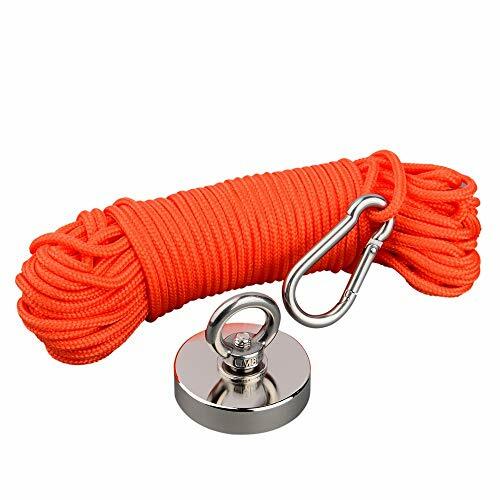 High Strength Fishing Magnet Rope Included: Diameter 5.0mm 0.196inch * Length 20m (64 foot) Nylon high strength nylone Rope included , you just only take it and go fishing directly without other anything. Warranty of Super Strong Magnets: All production processes carry out strictly per IS09001:2008 quality system. All fishing magnets undergo extensive testing for tensile strength,We offer 365 days after sales service and full refund guarantee for all Mutuactor magnets . HANDY: Fast and versatile organization accessory. Immediate place for wrenches, hammers, screwdrivers, screws, and any ferrous material. 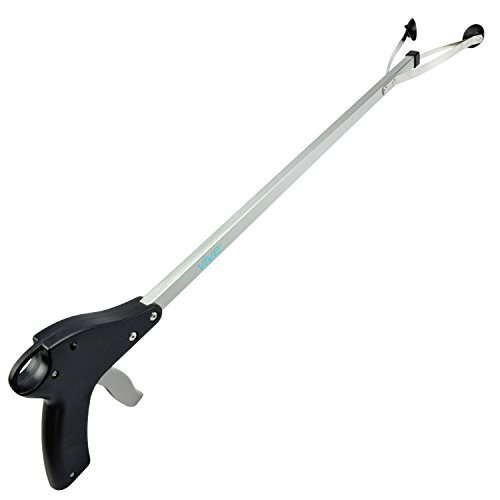 HEAVY-DUTY: Up to 20-lb per inch pull force rating for a tight grip on heavy items (varies by tool's iron content). EASY-MOUNT: Two steel tabs with diameter holes 16 apart, includes two screws/drywall anchors for mounting. SMART-DESIGN: 1. 625 tall, and 1. 125 deep (6, 13, 18 or 24 lengths) to balance slim profile and strong magnetic force. MULTI-FUNCTIONAL: Crafters, organizers, builders, machinists, and homeowners can organize the house, garage, shed, or job site. Solid 45 lb. Magnet (always on). 1" x 1 1/4" x 4 1/2". Mounts in 6 positions. Made in USA. 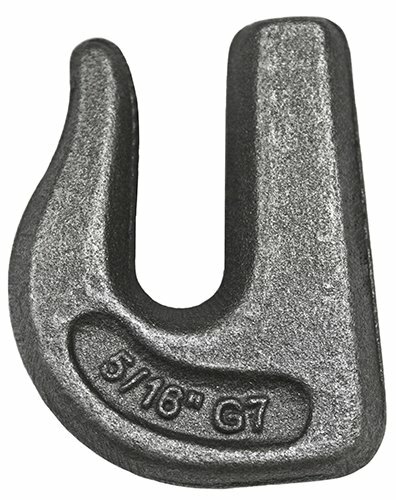 Hook, weld-on Type, hook style grab, working load limit 4700 lb., trade size 5/16 inch, grade 70, for use with 5/16 in chain. 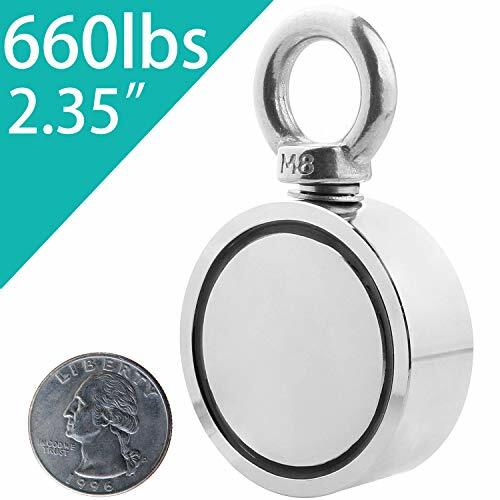 Brand: B/A Products | Manufacturer: B/A Products Co.
SUPERIOR STRENGTH - Would you like to own the largest magnet on Amazon? The ultra powerful Qu130 offers 1333 pounds of pulling force which will be more than enough strength to handle just about any job. What will you be able to fish up with the strongest magnet on Amazon? EXCEPTIONAL QUALITY - We've designed the Qu130 to offer the highest performance and quality available. 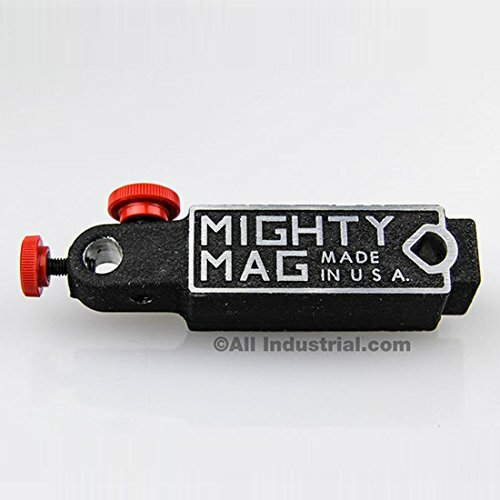 The outer coating of our magnets are covered in an extremely high quality combination of material specifically designed to resist rust and last you a lifetime. 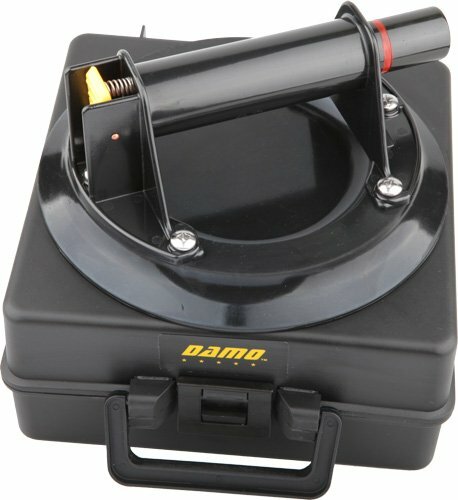 READY TO WORK - The unit comes packed with the super strong 1000+ pound (1222lb) magnet with the countersunk hole and eyebolt so you can throw on your paracord and get right to work. Imagine the amazing pulls you'll get on your next magnetic fishing outing with this bad boy! EXPERIENCE OF A LIFETIME - Enjoy your time out on the water with your family and friends, make life long memories that you look back on for years to come, and impress your buddies with the awesome findings. They'll wish they owned the Qu130 so they could pull such awesome treasures themselves! INDESTRUCTIBLE GUARANTEE - Your satisfaction is what really matters to us! If you're unsatisfied with your purchase at anytime reach out to us and let us know so we can make it right. It's our job to offer high quality items that last you a lifetime. We never compromise on quality and all our products are performance tested using a computer controlled tensile and compression machine. 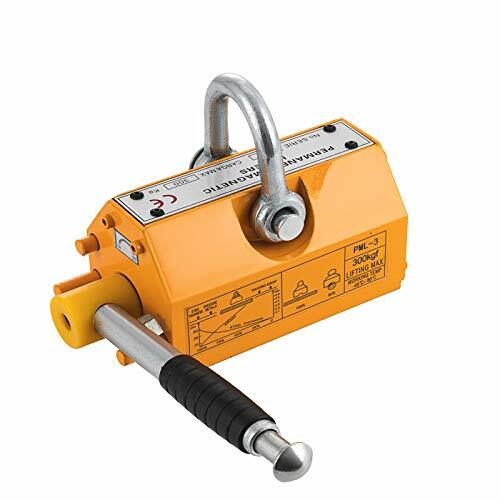 The system accurately measures the weight a magnet can hold when pulled vertically and the amount of pull a magnet can exert when there is a gap or non-magnetic material between the magnet and the material it is applied to attract. China produces approx. 97% of the world's neodymium magnet supply. 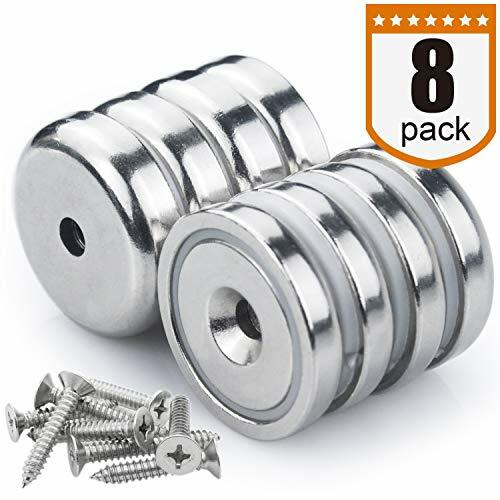 We evaluated about a dozen different Chinese producers, reviewed their price/performance ratios and we think this Round Neodymium Magnet is the best one. 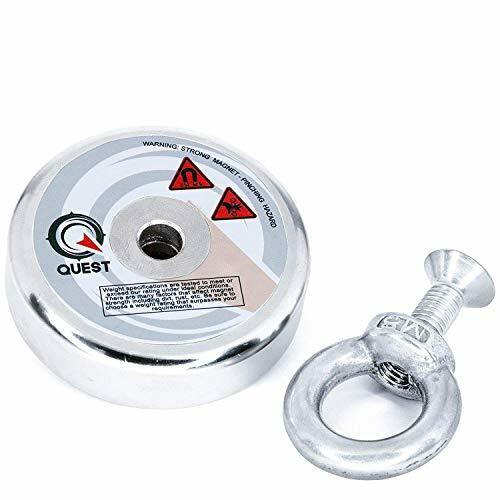 The heavy duty construction of this magnet features a female threaded steel cup and a threaded eye bolt that attaches directly to the cup instead of through the magnet.so it can Ensure the use of Security. Lots of Fun for River and Lake Fishing as Vacation and Family Activities. Great for Spending Time with Family Exploring What Can be Found in Rivers, Lakes or Anywhere Else. WARNING: Please keep away from Kids and something sensitive to magnetic fields! These magnets measure 1-7/8" in length, 7/8" in width, and 3/8" in thickness. Material: Grade 8 ceramic magnetic material. All magnets are fragile and they may break or shatter. But if they are handled properly, they will last for a life time. Keep them away from pacemakers and children under 5 years old. 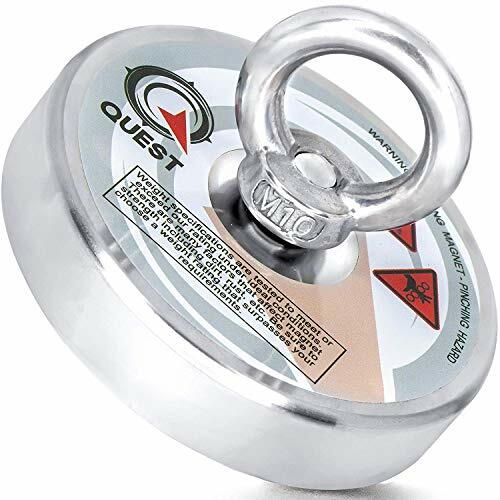 SUPERIOR STRENGTH - Would you like to own the largest magnet on Amazon? The ultra powerful Qu60 offers 333 pounds of pulling force which will be more than enough strength to handle just about any job. Find out what you'll be able to fish up with the extreme power brought to you exclusively by Quest! 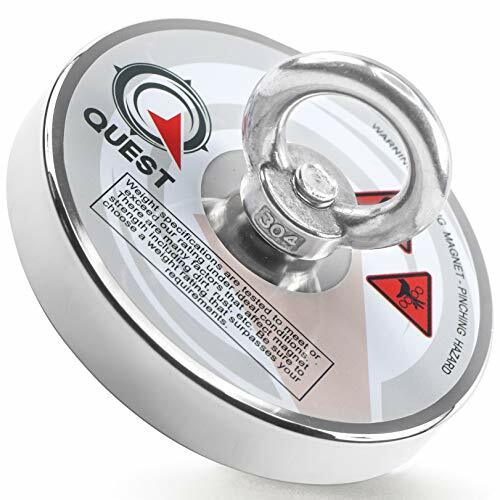 EXCEPTIONAL QUALITY - We've designed the Qu60 neodymium magnet to offer the highest performance and quality available. The outer coating of our magnets are covered in an extremely high quality combination of material specifically designed to resist rust and last you a lifetime. READY TO WORK - The unit comes packed with the super strong, industrial strength 300 plus pound (333lb) magnet with the countersunk hole and eyebolt so you can throw on your paracord and get right to work. Imagine the amazing pulls you'll get on your next magnetic fishing outing with this giant bad boy! EXPERIENCE OF A LIFETIME - Enjoy your time out on the water with your family and friends, make life long memories that you look back on for years to come, and impress your buddies with the awesome findings. When you're friends find out the cool stuff you've been fishing up with your Quest magnet they'll wish they had their own! Weld-on Type, Grab, Hook. Working load limit 6600 lb.. Size 3/8 inch, Grade 70, for use with 3/8 in chain. Working Load Limit 6,600 lb. 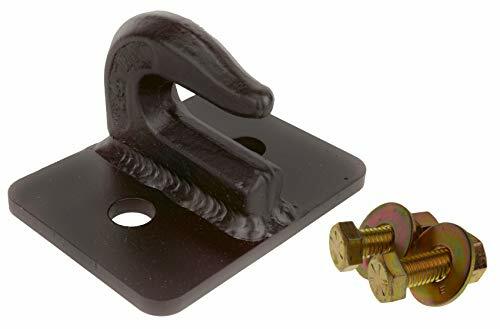 Grab hooks work well with chains and ratchet binders for securing your load or for tow anchors. Hook cluster, hook style forged mini J, working load limit 4700 lb. Grade 70, for use with 5/16 in chain, includes grade 70 hook joined with an oversized link. 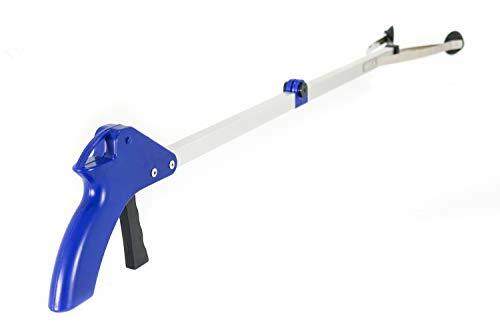 MAG-MATE 612 Flexible 4 Jaw Mechanical Finger 13.5" Long, 13.5"
This magnetic lifter is made with neodymium magnets which are used for lifting steel sheets, blocks, rods, cylinders and other magnetic materials. The handle on the magnet features a lock-on/lock-off mechanism that requires the operator to manually switch between the two states. The V slot on the bottom is ideal for flat or round loading surfaces. 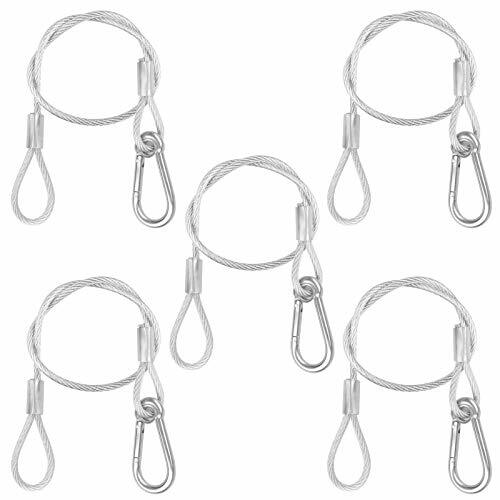 The U-loop shackle hook allows for the easy attachment of slings and low residual magnetism for rapid handling. The lifiting capacity of the permanent magnetic chuck may change with the changing of the following factors thickness of the steel material, the roughness of the plain, the type of the material and cleaness of the chuck and the steel material. Please clean the surface of the steel sheet before using it. Prohibit standing under the steel sheet when the steel sheet is lifted. Please do not control the handle when there is no any steel sheet under the magnetic lifter. Add some functionality to your bucket or implement with this bolt on grab hook. Use with 3/8 chain. Excellent alternative to a weld on grab hook as you can simply bolt it on. No need for paint or welder. 1/4 Thick Steel plate mounts flush on your bucket or mounting material. TO USE WHERE: garage, workshop, board, kitchen, garden, office, school, classroom, lab. TO USE FOR: fridge, refrigerator, 3d printer, whiteboard, dry erase board, household tools, makeup, jewelry, miniatures and various modeling and small items. TO USE AS: holder, adhesive, storage organizer, fastener, toy, building tool, educational applications and science projects. --31.4" Stainless steel safety wire,Galvanized 45 steel, wire rope diameter 5.7mm, surface PVC rubber. --Rope surface: PVC rubber, Number of wire rope strands: 7*7 ,Single strand wire diameter 0.45mm. --Suitable for stage lights, moving heads, party trusses, etc. where safety rope protection is required. Add some functionality to your bucket or implement with this bolt on grab hook. Use with 5/16 chain. Excellent alternative to a weld on grab hook as you can simply bolt it on. No need for paint or welder.